This entry was posted in Food, Recipes from the Garden, Restaurant Recreations, Seasonal Recipes and tagged easy entertaining, easy farm to table, easy seasonal cooking, easy seasonal recipes, farm to table, restaurant recreations. Bookmark the permalink. 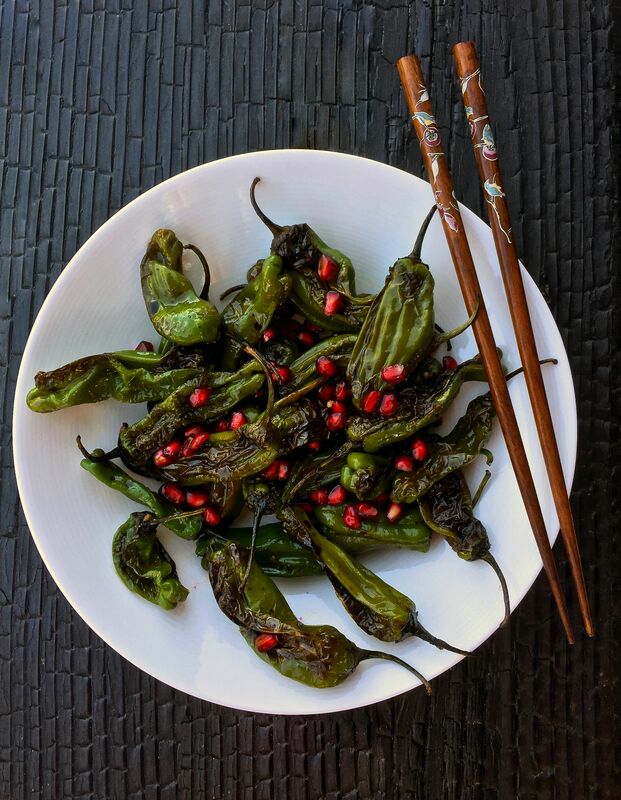 I had never heard of shishito peppers before, so your post is ‘enlightening’ for me. The combination of peppers with pomegranate seeds is certainly unique! So glad to hear it Fran. 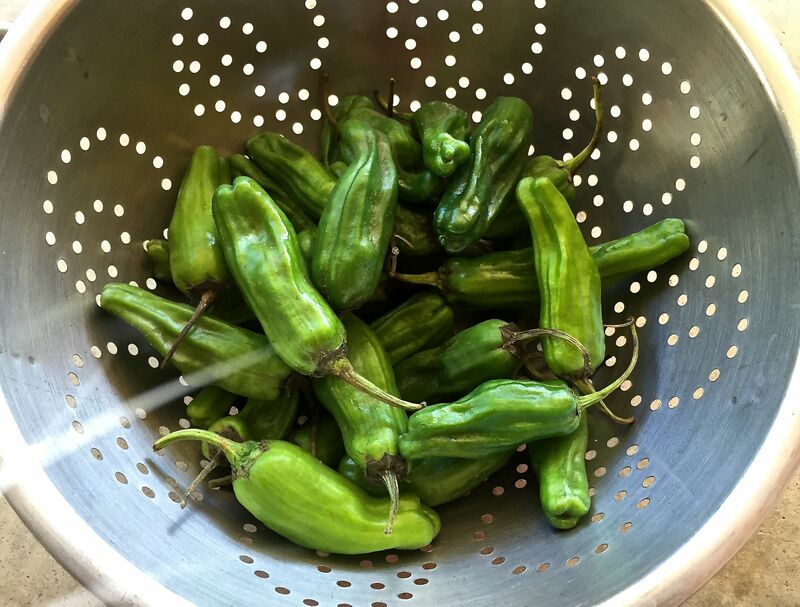 I had never had Padron peppers before living in Spain (about 15 years ago) and shishito’s never crossed my path until a few years ago. Now they seem to be a San Diego restaurant darling.